If you have ever dieted before, you have probably heard of the Atkins diet, the original low-carb weight loss system designed to help you reset your metabolism and start burning fat instead of carbs. It was developed by the now famous cardiologist Dr. Robert Atkins and unlike numerous fad diets that lose popularity within months, the Atkins diet has been one of the leading weight loss solutions since 1972. 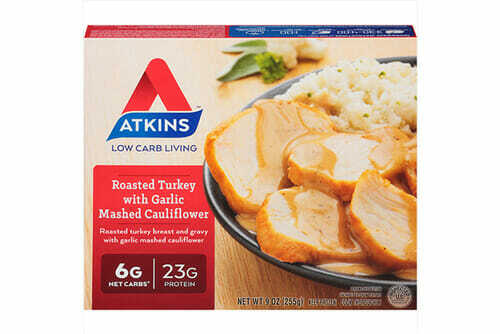 In this Atkins Meal Delivery review, we will introduce you to Atkins meal plans and weight loss products that are now available for purchase both online and in stores across the globe. Atkins is a weight loss program in which you can enroll free of charge. It is designed for individuals who achieve the best slimming results by limiting their sugar and carb intake. It is available in two versions, including Atkins 20 and Atkins 40. Atkins 20 is best suited for dieters who want to lose more than 40 pounds or suffer from diabetes. It is a 3-step program in which you start by limiting your carb intake to 20 grams of net carbs per day for a few weeks or until you are within 15 pounds of your goal weight. In the next phase, you start gradually adding carbs back to your diet in 5-gram increments. Once you are near your goal weight, you can proceed to the thirds step of the program, in which you slowly add foods back to your diet and maintain your weight loss. Atkins 40 is a less restrictive 3-step weight loss plan designed for individuals who want to lose fewer than 40 pounds. In the first step, you limit your carb intake to 40 grams of net carbs per day. The first phase usually lasts for several weeks or until you are within 10 pounds of your goal weight. In the second step, you start adding carbs back to your diet in 10-gram increments. Once you are satisfied with the results, you proceed to step three, where you continue adding carbs back into your diet and maintain your weight loss while enjoying virtually all foods. To get started with either of the two plans, you simply need to complete the free registration on the official Atkins site and receive meal plans, shopping lists, and weight loss tools and resources that can help you reach your goals. The tools and resources available include 1,600+ recipes, the Atkins carb counter, a digital weight loss tracker, and the free Atkins weight loss app that can help you keep track of your weight loss. You can prepare your meals on your own using the provided recipes and guidelines or you can rely on Atkins to provide the recommended meals and snacks. You can choose from nearly 100 Atkins diet products, including frozen meals (breakfasts, lunches, and dinners), shakes, bars, and snacks. The products are available in the Atkins online shop as well as numerous stores around the world. It is important to emphasize that there are no subscription fees and you can order Atkins products whenever you want, as often as you wish, with no minimum or maximum order values. Atkins is the leading low-carb weight loss system that has inspired the creation of numerous similar diets over the decades. It is based on real scientific facts and it efficiently propels your body to start burning fat by limiting the intake of carbohydrates. While it is rather restrictive in the beginning, it allows you to enjoy everything from pizza to delicious snacks, thus reducing cravings and hunger and making weight loss less boring. While on the Atkins diet, you can expect to lose 1 to 2 pounds per week. This is what is generally considered to be healthy weight loss, which prevents health issues and the yo-yo effect. What we particularly like about Atkins is that it does not require you to pay up in order to lose weight, unlike the majority of weight loss programs. 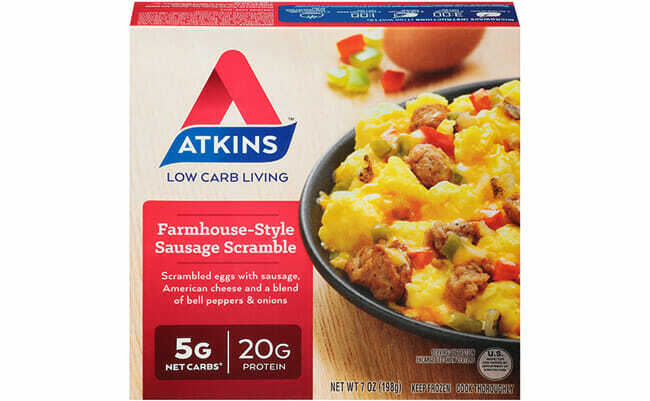 You get all the resources you need free of charge and the decision to purchase Atkins products is completely up to you. Thus, Atkins products are designed to help you stay on track if you have no time to cook. They are not designed to force money out of your pocket. In sum, Atkins is one of the most famous weight loss programs designed by a world-famous doctor to help people lose weight the healthy way. The plans, guidelines, and tools are available to everyone who may need them, with no payment required. All of these facts make Atkins different than the majority of dieting solutions currently available. 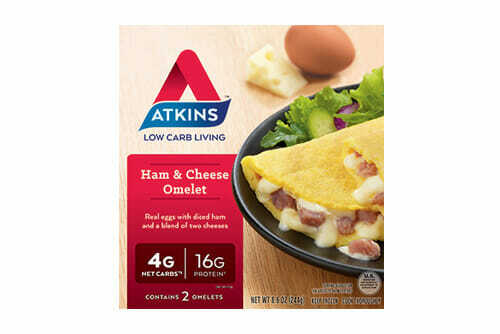 If you wish to make the process easier by enjoying affordable Atkins food products instead of cooking by yourself all the time, here is what you can get at the Atkins Meal Delivery store, which has around 80 tasty items at all times. You can choose from about two dozen frozen breakfasts, lunches, dinners, and frozen pizzas, most of which are suitable for step one of the program. These include such delicious dishes like stone fired pepperoni pizza and three meat pizza, bacon scramble, beef stew, meat lasagna, roasted turkey with garlic mashed cauliflower, beef teriyaki stir-fry, and much more. Although the portions are not large, the meals are satisfying and feel like guilty pleasures. To supplement your meals or get the necessary energy while on the go, you can get some bars, shakes, and treats that can also satisfy your sweet tooth. There are over 30 bars on offer, including meal bars, snack bars, and harvest trail bars. Slightly less numerous are shakes and treats, with about a dozen of each in the store. Atkins Meal Delivery has decided to mostly stick to classic flavors, offering chocolate, vanilla, chocolate banana, café caramel, mocha latte, and strawberry shakes and choco-nutty and caramel bars and treats. The company also offers meal kits, but do not expect to get ingredients and recipes. These kits actually include ready-made frozen meals, bars, and shakes, all in a nice bundle that can provide all the nutrition you need throughout the day. The kits at your disposal include Easy Peasy, Evening Chef, and Frozen Foodie. The Easy Peasy kit includes 14 frozen meals, 7 meal bars, and 7 shakes. The Evening Chef kit features 14 frozen meals, 7 snack bars, and 7 shakes. The Frozen Foodie kit exclusively contains 14 frozen meals. All kits come with a free guide including meal plans and shopping lists, the Atkins carb counter, a recipe booklet, the Atkins Made Easy book, and free online and phone support. While many of the items in the Atkins store are suitable for vegans and vegetarians, there are not too many allergen-free options. Regardless of your dietary restrictions, you have to carefully read through the ingredient list for every product since the items are not categorized by special diets. This is a flaw we could not overlook. For those times when you want to cook on your own, Atkins has prepared over 1,600 recipes for any time of the day. The cookbook contains everything from scrumptious breakfast, entrée, dinner, appetizer, and side dish recipes to snack, dessert, and beverage ideas. The recipes are quick and simple and many of them take mere minutes to make. You even get useful how-to videos that take the guesswork out of cooking. As mentioned previously in this Atkins Meal Delivery review, there are no subscription fees to worry about and you can order commitment-free, as frequently as you wish. There is no minimum order. The price depends on the number and type of items you choose. If you are interested in Atkins meal kits, you can get the Easy Peasy Meal Kit for $97.99, the Evening Chef Meal Kit for $89.99 or the Frozen Foodie Meal Kit for $69.99. All kits come with free shipping and include 28 servings. Frozen meals cannot be purchased online; they can only be found at stores. The prices significantly vary across stores. Snack bars and harvest trail bars usually cost $6.89 per 5-count box. Meal bars are a bit more expensive, coming at a price of $8.89 per 5-count box. Shakes cost $7.19 – $8.89 per 4-count box, $13.49 per 8-count box, and $13.98 per 10.2-oz. canister. Treats normally cost $6.29 per box, with boxes containing 5, 10 or 15 pieces, depending on treat type. Apart from individual boxes of snacks, shakes, and treats, you can also purchase bundles, value packs, and variety packs, all of which allow you to save a couple of bucks on your order. Shipping costs for deliveries within the US vary depending on order value and location. Within the contiguous US, all orders over $99 come with free standard shipping while orders below that value come with shipping fees ranging from $6.95 to $11.95 (a higher order value equals a higher shipping fee). Deliveries to Alaska and Hawaii come with an additional $12 fee. If you want to receive Atkins snacks, shakes, and treats regularly, you can opt for auto delivery, which comes with multiple perks. You can receive deliveries once every 1, 2, 3, 4 or 6 weeks or every 1, 2, 3 or 6 months. As a thank-you for being a regular customer, you get 8% off every order and free shipping on orders over $50 (extra charges for Alaska and Hawaii deliveries apply). In case you want to opt for a meal kit subscription, you can choose between weekly and monthly deliveries. A meal kit subscription brings you a 5% discount on your orders. Atkins products are available in all 50 US states. You can purchase them at a local store or order online. If you opt for in-store purchases, the handy store locator on the official Atkins site can help you find one or multiple stores nearby that sell the exact Atkins products you are looking for. If you prefer online shopping, you can handpick the desired items from the Atkins online store and have them delivered to any address within the US. 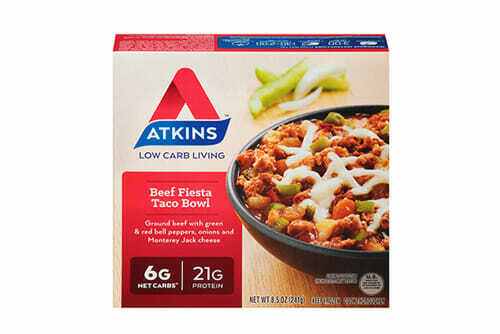 Due to their overwhelming popularity, Atkins products are not only sold in the US but are also available for purchase in many countries and regions around the world, including Canada, Columbia, Mexico, Venezuela, Belgium, Finland, France, Germany, the Netherlands, Norway, Portugal, Spain, Sweden, the UK, Australia, New Zealand, South Africa, and the Middle East. However, home delivery is not an option in all countries and customers usually need to turn to local stores that hold Atkins products. To make sure Atkins meets all your standards and expectations, it is important to know its biggest advantages and disadvantages. With a short overview of its pros and cons, you can easily decide if Atkins is the right meal delivery service for you. With Atkins, you get delicious meals prepared by pro chefs at affordable prices. 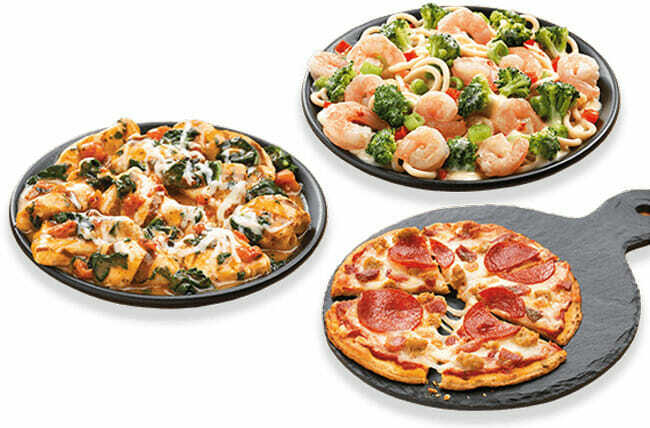 To find out what kinds of delights you will receive in your delivery, we have chosen a couple of sample dishes that accurately represents its offer and can help you decide if it is the right service for you. Atkins has long been one of the top weight loss solutions worldwide. It offers all the support and resources you need to reach your weight goals and everything except for food is available for free. The food products are rather numerous and affordable, even though they are not designed with many dietary restrictions in mind. Still, the program has proved to induce healthy weight loss and it is suitable for pre-diabetics, diabetics, vegetarians, and vegans. 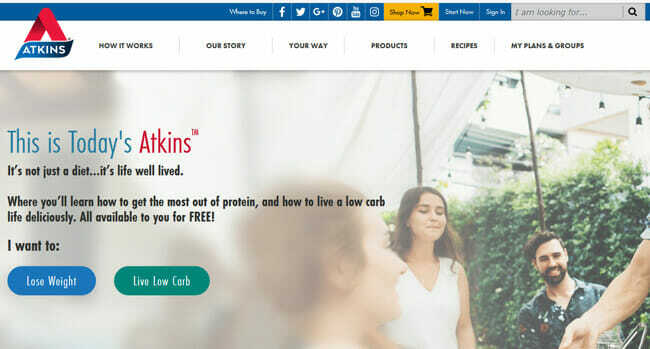 If you are looking for a safer, easier, science-based way to lose weight by cutting down on carbs, Atkins is a weight loss program worth considering. Our ratings are the result of an objective and independent evaluation of Atkins Meal Delivery, generating the final rating that reflects the overall quality of the company. Ratings may change as the service changes. Atkins Meal Delivery customer rating based on 2 customer reviews. 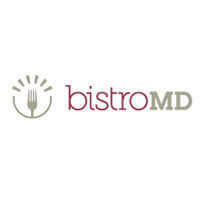 We found 1 verified Atkins Meal Delivery discount for April, 2019. 10% Off Get 10% Off Entire Purchase Sitewide! Sign up and we’ll let you know about future Atkins Meal Delivery promo codes. 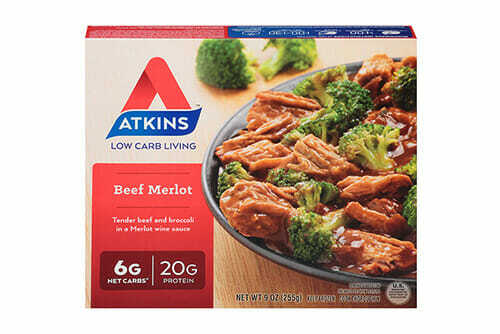 If you like Atkins Meal Delivery but aren’t sure whether they are truly the ideal choice for you, you may want to take a look at our comparisons below to discover if one of their competitors is more suitable for you.